We are proud to be a part of Confluence • 20+, a design exhibition curated by Amy Chow. “Confluence • 20+” is a multidisciplinary exhibition that offers a perspective on Hong Kong’s creative ecologies. The show presents inspiring collaborative projects by the best design talents in Hong Kong, a city where east and west, tradition and innovation, craftsmanship and technology synergies. 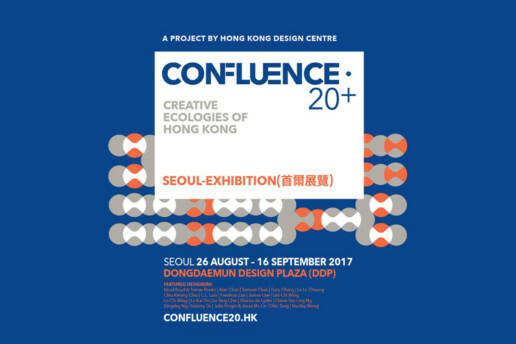 Presented by the Hong Kong Design Centre, Confluence • 20+ is a multidisciplinary exhibition series that offers a perspective on Hong Kong’s creative ecologies. As the third edition of an ongoing exhibition series, Confluence • 20+ is a stage for creative collisions. The show presents twenty truly inspiring collaborative design projects by Hong Kong’s best design talents, lending insights into the co-evolving ecosystems of the city where east and west, tradition and innovation, craftsmanship and technology synergise. Living in an ever-reinventing and culturally diverse metropolis, the creative minds in Hong Kong have never been restrained by the city’s confining urban space. Through continual collaboration with global practitioners, they add value to materials and objects, leveraging cultural influences and resources from China, Asia and beyond. The exhibits in Confluence • 20+ are coalescences of cross-boundary interactions and intertwining relationships. Deep inside the crux of every single piece is a community woven across socioeconomic and cultural silos. Confluence • 20+ is a visual feast of creative works showcasing Hong Kong designers’ ingenuity in crossing boundaries: East, West, Heritage, Craftsmanship, Artistry, Urban Living, and Experiential Innovation. It is an exclusive visual adventure into Hong Kong’s vibrant creative ecologies that both insiders and public audience must not miss. Participating designers: Nicol Boyd & Tomas Rosén, Alan Chan, Samuel Chan, Gary Chang, Lu Lu Cheung & Otto Tang, Chiu Kwong Chiu, C.L. Lam, Freeman Lau, James Law, Lee Chi Wing, Lo Chi Wing, Lo Kai Yin, Lo Sing Chin, Sharon de Lyster, Jesse Mclin & Julie Progin, Elaine Yan Ling Ng, Kingsley Ng, Sammy Or, Stanley Wong. The Hong Kong Design Center is a government-funded non-profit organization celebrating design excellence. The institution champions the creation of business values and community benefits through design. This latest exhibition series is a homage to Hong Kong’s design heritage roots and will sojourn in Milan, Hong Kong, Seoul and Chicago. Free admission and open to public.